Join us and we can build so much more. We offer a wide range of courses and seminars in a classroom or online setting. We have access to decision makers in all levels of government. 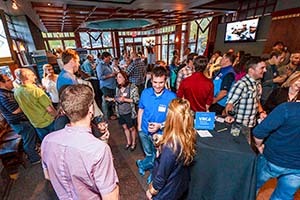 We connect your business to hundreds of industry professionals and build important relationships. We think of ourselves as an extension of your team. At VRCA, we are passionate about your success and we want to contribute to it. We connect you with the resources to grow your business, the people you need to know and exclusive opportunities to drive your bottom line, so you can focus solely on what you do best. The VRCA proudly represents union and non-union, general and trade contractors, manufacturers, suppliers and professionals who service the industrial, commercial and institutional construction industry. We foster a culture of continuous learning across the industry by providing world class technical and non-technical education and training. We enable connections and opportunities across the industry by providing a range of business-oriented programs, services and support that include first-class networking opportunities. It was my first time at a the Construction Leadership Forum. I was given the opportunity by my boss and I thought I would go because I was happy with a paid day off!! How wrong I was….I got way more out of it than I had expected. From the very inspirational keynote to most interesting talks and with all the networking opportunites I had a great weekend! 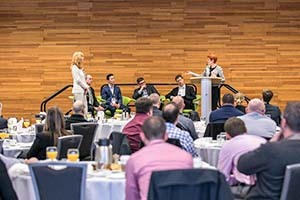 The VRCA Construction Leadership Forum is a great opportunity for everyone who is connected to the construction industry to network, learn and engage in new innovative practices that are going to grow their business and develop their best people. 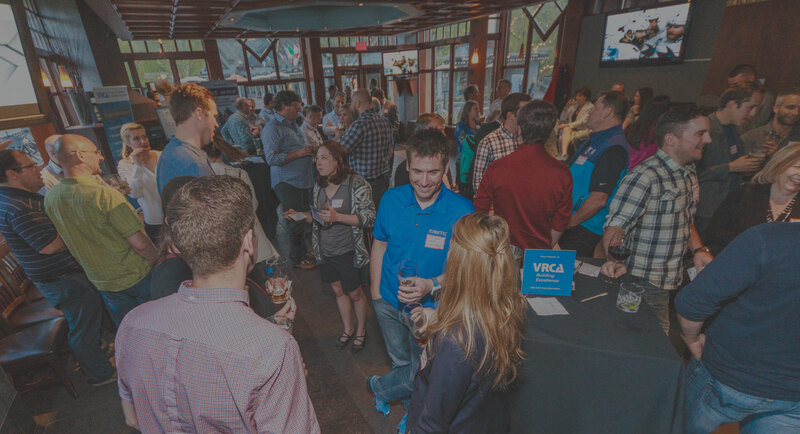 Networking at various VRCA social functions allows our reps to interact with customers and build stronger relationships in a different environment than the office. The VRCA is continually discussing common issues and concerns, stimulating cooperation and putting each member in a better position in our market through strengthened relationships, and heightened awareness of the unique challenges facing the construction industry in our region.